Divorce can be challenging and emotional. Yet, in the midst of the difficult situation, you might be like other divorcing couples who own a house and are trying to figure out how to go about splitting it. Here are our tips for navigating the real estate portion of your divorce as efficiently as possible. During a divorce, the two parties seek to split their assets in half. With things like money it’s very easy to do. For real estate, it’s much harder… How do you split a house in half? Since cutting the house down the middle isn’t an option, should one party get it or the other? In some divorces, one person might be invited to take the house only if they can pay for it (which is a massive expense at a time when you need it least). The best way to split real estate is to sell it. Just turn it into cash! The property itself might have some expenses incurred during the sales process. There may be outstanding bills, or an outstanding mortgage. So the two divorcing parties should probably just sell the property and direct their attorneys to apply the money earned from the house to any outstanding debts. 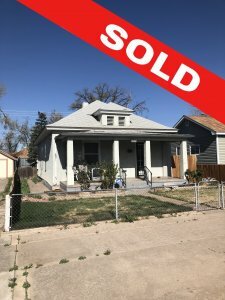 So — how do you sell the property? The owners need to pay out of their own pocket to fix up the property first — so who pays for that? The agent will then list the house, which can take 3-6 months to sell, sometimes longer. Can either party wait that long? The agent will then involve both parties in the negotiation with the buyer. There’s a lot of paperwork involved here. This is a costly and time-consuming way to sell, and it can actually make the divorce proceedings so much worse! Fortunately, there’s another way: sell your house to a real estate buying firm, which is what we do here at Fast Home Options. The real estate buying firm will buy your house quickly, for cash, in as-is condition. As a bonus, there are never any commissions or fees to pay. You don’t have to clean up or fix up the property and the sale can be completed in days, not months, and with very little paperwork. 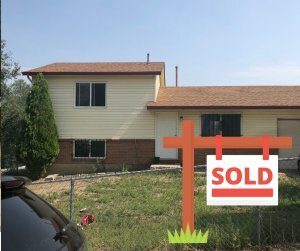 If you’re going through divorce and want to just be done with it and move on with your life, just reach out to us and tell us about the property you want to sell. We specialize in buying divorce houses and we can help you get through the whole ordeal, painlessly. 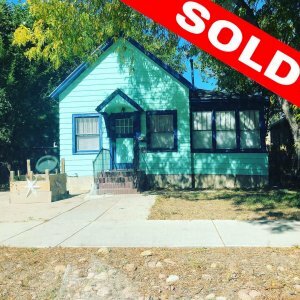 Selling Your House While In A Divorce In Colorado Springs shouldn’t have to be a painful experience. We will buy your house and help you move on.